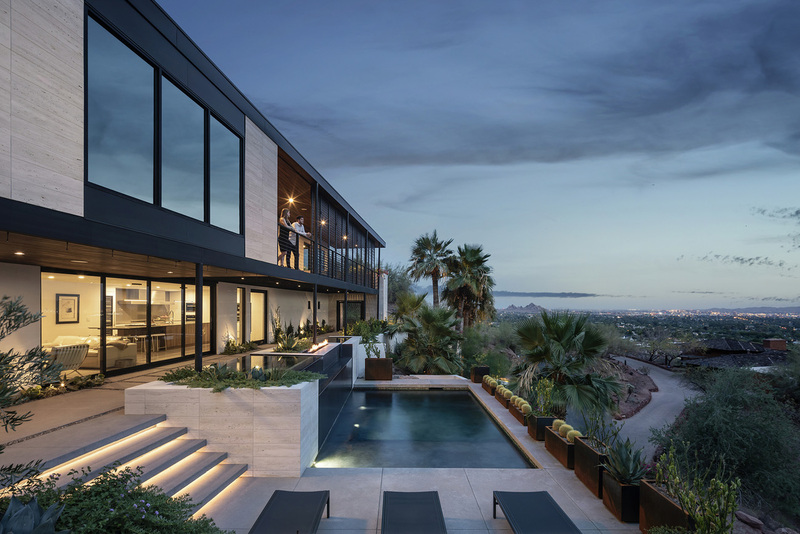 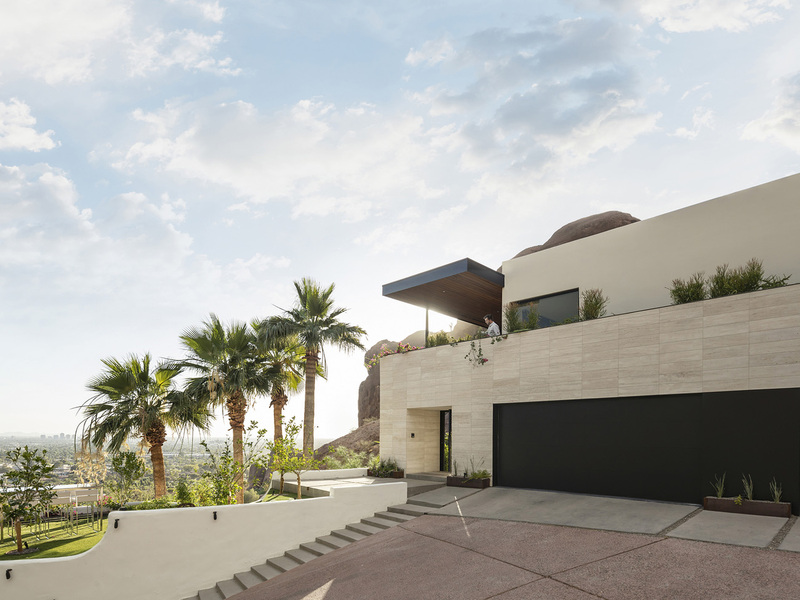 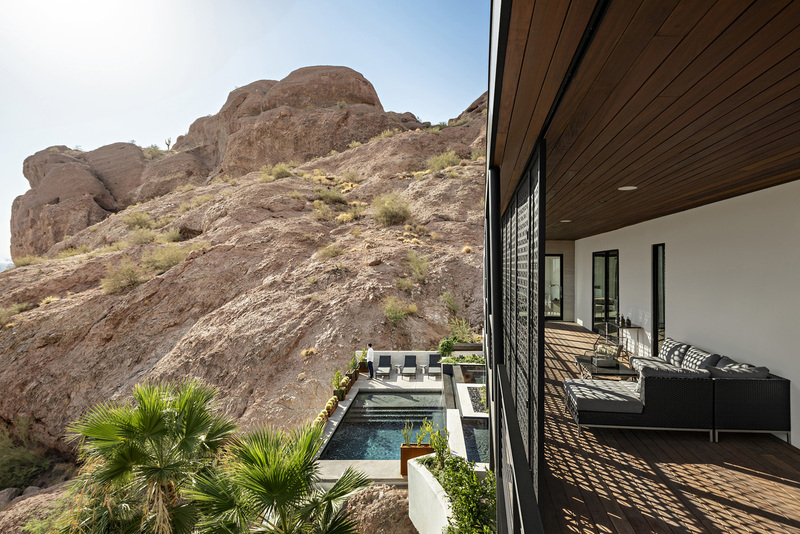 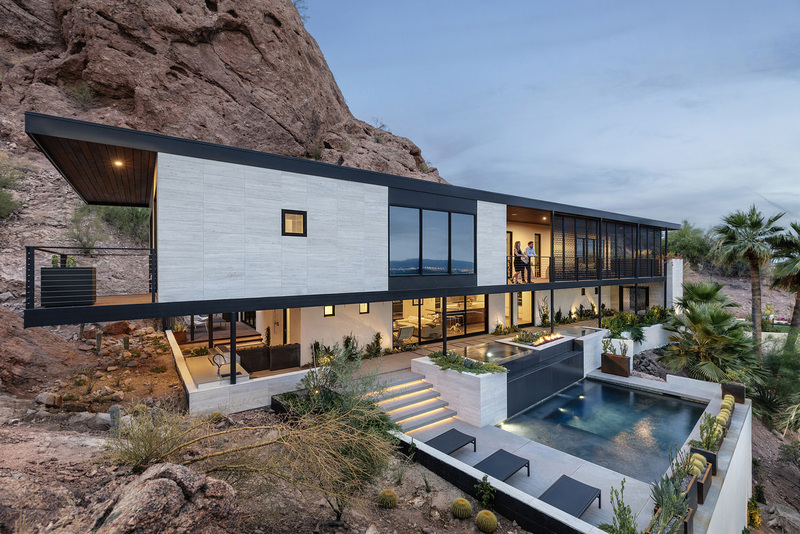 Designed by “The Ranch Mine” an award-winning husband and wife led architecture firm based in Phoenix, Arizona, this spectacular residence clings to the side of a camelback mountain. 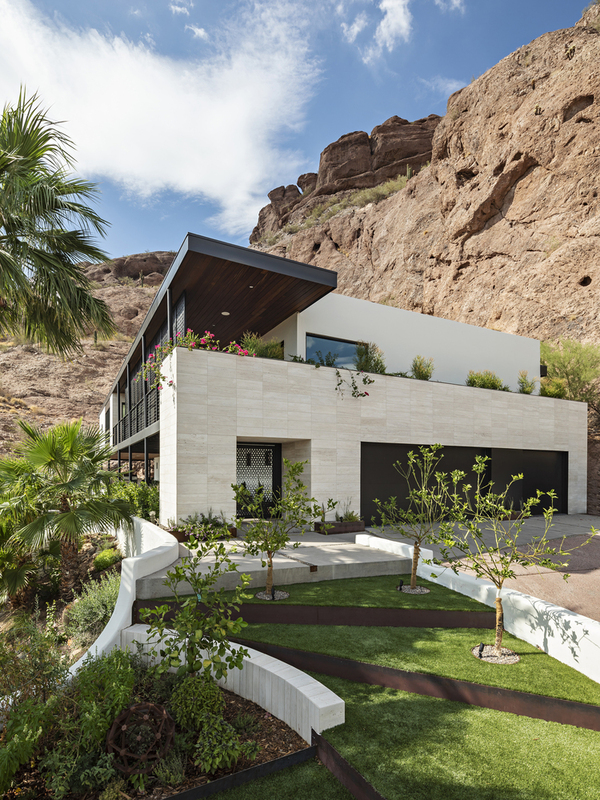 The Red Rocks House has over 2000 square feet of shaded exterior patios, extending the living of the house in every direction and providing shade for the interior spaces. 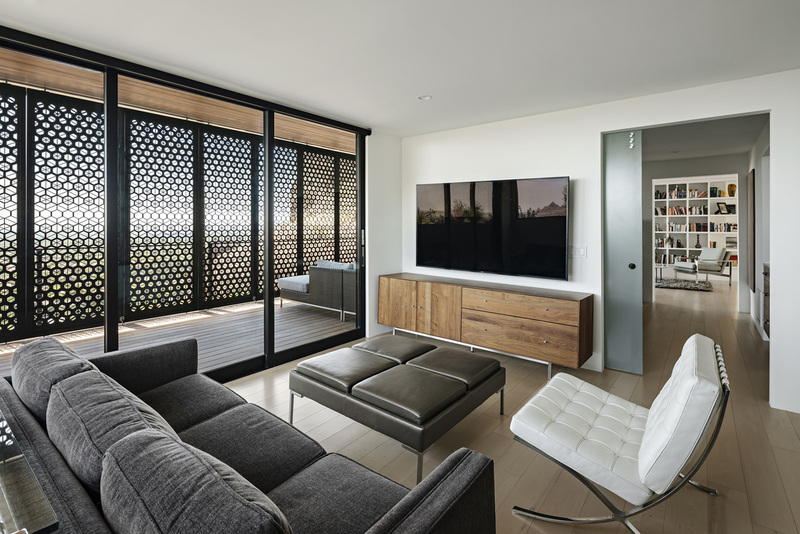 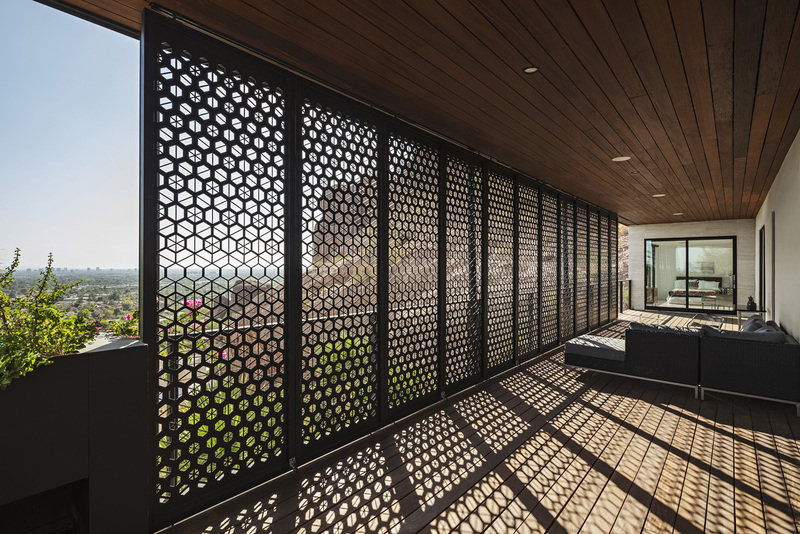 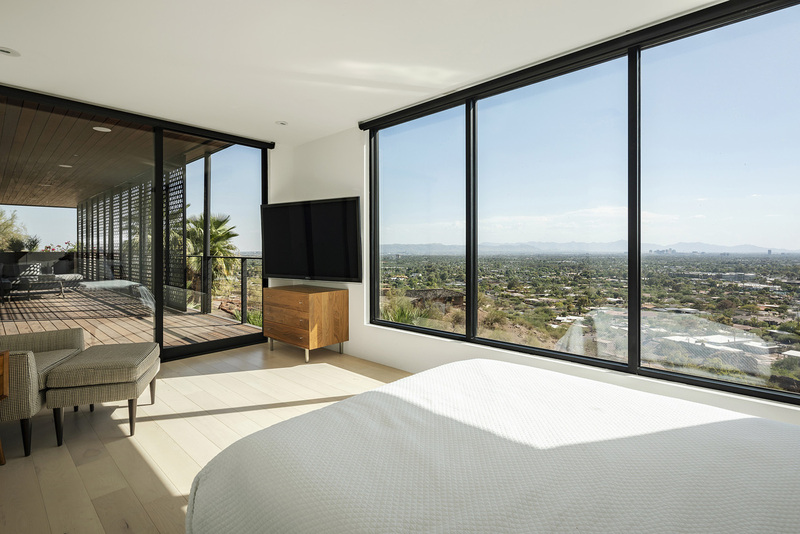 Across the house there are several bi-folding custom steel screens that help shield the deck from the harsh desert sun while still allowing the breeze to come through but can be folded aside at dusk to take in the famous Arizona sunsets. 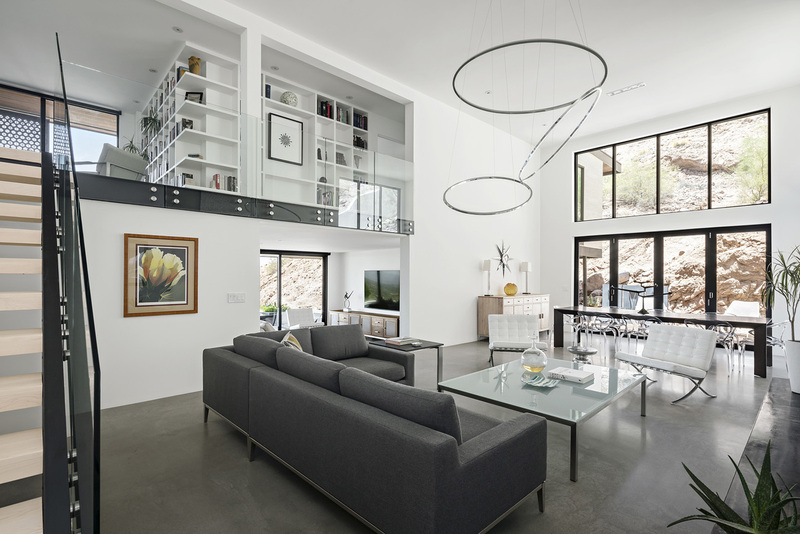 And we recommend you to check Ultra-Modern House In Norwegian Mountains.